Add relaxing in the cozy Sonax Park Terrace collection to your exciting summer plans. The Saddle Strap Resin Rattan Weave is complimented by high quality, weather resistant foam seat cushions wrapped in zippered and washable Coral Sand covers. With our clever design, the Ottoman can easily be converted into a stout coffee table by removing the cushion. Ready to use upon delivery, you can complete your summer with this comfortable patio set from Sonax. Relax in style and sophistication, and enjoy the outdoors with the Beacon Park Rocking Dining Chair. 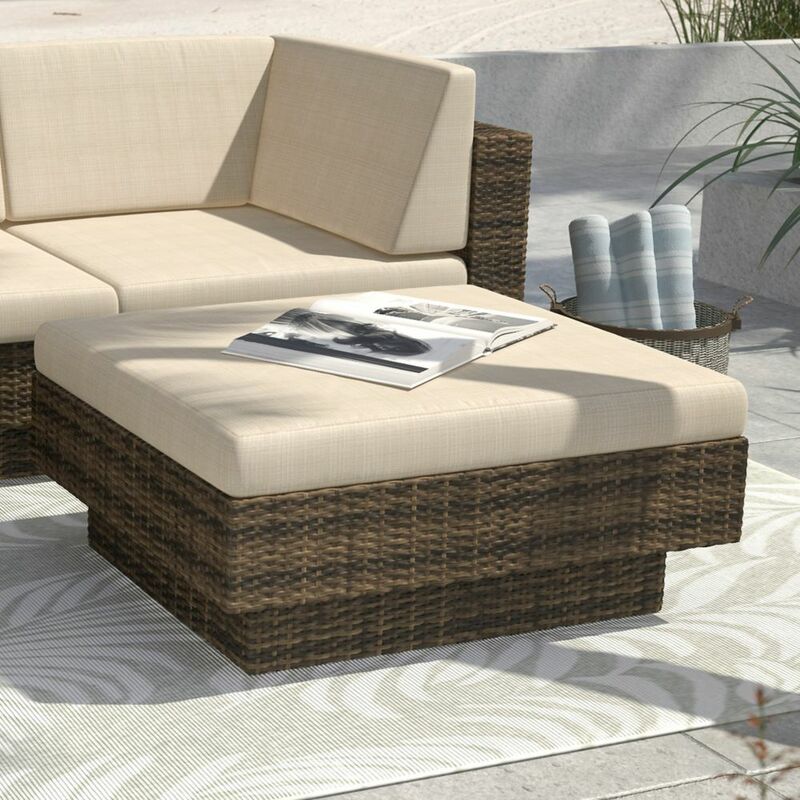 A sturdy, rust-resistant frame supports intricately woven, rich brown wicker and features a plush olefin seat cushion. Wide, curved armrests and the gentle rocking motion ensure maximum comfort you won't want to give up. Use as a standalone piece, or include other Beacon Park furniture elements to create a complete look. Redefine luxury with the Camden collection. Featuring hand-woven light brown wicker and a glass top, this coffee table offers all the style you desire. Aluminum legs frame a wicker shelf for added storage. Incorporate with other pieces from the Camden collection for a complete look. Park Terrace Ottoman In Saddle Strap Weave Add relaxing in the cozy Sonax Park Terrace collection to your exciting summer plans. The Saddle Strap Resin Rattan Weave is complimented by high quality, weather resistant foam seat cushions wrapped in zippered and washable Coral Sand covers. With our clever design, the Ottoman can easily be converted into a stout coffee table by removing the cushion. Ready to use upon delivery, you can complete your summer with this comfortable patio set from Sonax.